Can HP Slate compete with iPad? 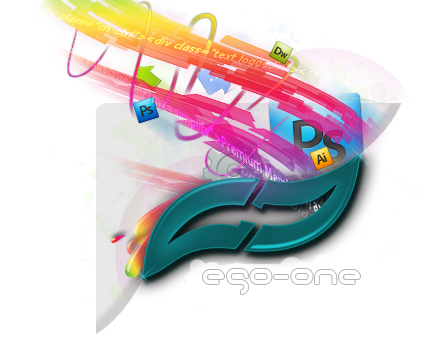 Ego One - Pure | Fresh | First » Official » » From the homepage » Can HP Slate compete with iPad? HP have recently unveiled its HP Slate which runs on Windows and has almost everything that iPad doesn’t, including the webcam. Is it going to kill the Ipad? Those words were not of criticism, but were the words or respect for HP, who once led the technology. But, is it really so? Has HP really lost its base? Wasn’t HP one of those few hardware company who has been promoting tablet concept for more than a year, even before the rise of smartphone. So why is it that, HP is failing to catch up with the consumer’s sentiment. I think, the only way these companies can reign is by not forgetting their roots. Apple was brought back to life because they stood with their roots. Trying to join the bandwagon is not going to do anything beside lose the brand value. May be it will take some time for every company to realize the fact. five-hour battery, Webcam, and a 3-megapixel camera, according to the memo. $599 version will come with 64GB of storage. Both tablets also have a USB port, HDMI output, SDHC slot, and a SIM card slot for optional 3G, according to the apparently leaked presentation, which also highlights the features HP sees as superior or a threat to iPad appeal. Re: Can HP Slate compete with iPad? Atleast it has more storage. I hate iPod's storage. iTouch's only max out at 32GB while my Zune has like 120. I don't see why HP is a buzz kill. In Europe HP are a very renowned and trusted brand. Whilst Dell are considered untrustworthy and incompetent technologically. If I'm not mistaken the USA enjoy their Dells and Dell technologies have got some really extraordinary patents ... especially liking the new induction charger. After seeing this article on Mashable I thought this could really be the ipad killer. Its price is a lot higher, but I think its what you expect to pay for a proper handheld internet pad. Obviously with an ipad you don't stop at $400 for the device itself... you usually end up buying ipad gen 2 and gen 3 thus adding not 400 but $1200 into Apple piggy bank. I like the fact that HP have done what was supposed to be done with a pad. They are using a proper OS... and not a mobile OS taken from an iphone. They are using a netbook processor with a 1,6 atom ... you'll definitely get more and definitely you'll get flash out of something like that. All in all the technology is far better than the inflated mobile os ipad. Why the HP or the google pad won't be ipad killers? Because , and this isn't only my opinion (as seen on technewsworld) apple have the fantastic ability of creating incredible marketing campaigns that lure people in and make people buy stuff they really don't need. I remember hearing on the news that people from India are taking their whole months salary just to get an iphone, and only because America said its cool. I have had experience with smartphone for a long while now , and there were hundreds of smartphone with better tech than the iphone, way before the iphone was released... the reason I dislike the iphone and apple nowadays is because of their "We have a special on dog dooodie, its dog dooodie 2gen the best in the world" marketing and giving people tunnel vision , totally eliminating the competition, even when the competition is clearly better. This HP pad may prove to be a nail to Apple's coffin. The iPad isn't better than anything else in the market at any one thing. A netbook is better at productivity and the Web -- and TV programming. An iPod is better at music. A portable DVD player has access to more movie content. A smartphone is better at communications, and a Kindle is a vastly better e-book reader. None of that matters -- the iPad will still be a huge success. DELL+ / Everything before 2006 is crap... everything on after is... okay..
HP- / HP is better... but not the "best"
If and when theres hardware failure, will they put the same issue back in? Yeah. Is it going to have flash player? Probably... HP wouldn't want to release the same rock Apple has without more to it. Is it going to be water proof? It has a better chance than the iPad. Is it going to attract disappointed Apple users? Yes and no. It all depends on how much cool aid the person has drank. Will it do the same stupid move that apple did e-book wise? I don't know. Just because HP is "behind" in innovation does not mean the device itself is going to be worse. Take the nintendo wii for example. They came out with their, uh, (lets say 3rd) gaming system a bit early before Microsoft and Sony. Then Microsoft came out with theirs and obliterated the competition. Also, the Xbox 360 came out a year before the Wii.